Leaked GetUp! 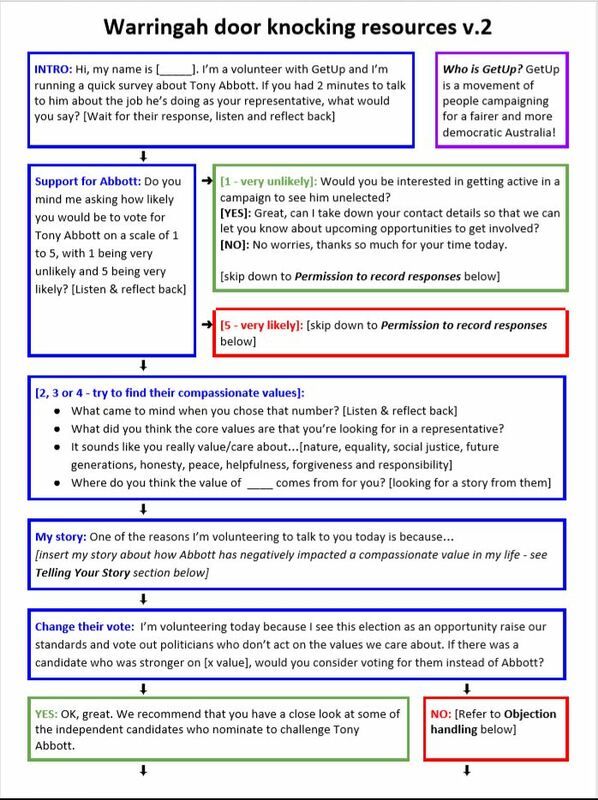 door knocking guide..
A leaked door knocking guide shows GetUp!’s instructions to volunteers in their fight to oust Tony Abbott. The Left-wing political activists have launched a Take On Tony Abbott campaign aimed at removing the former Prime Minister from his seat of Warringah. 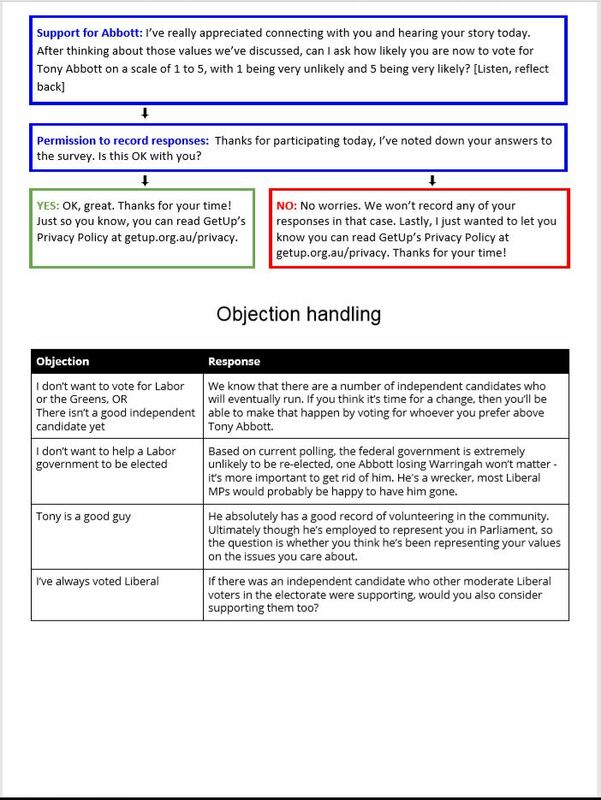 Ray Hadley has come into possession of a leaked campaign document titled ‘Warringah door knocking resources v.2’. 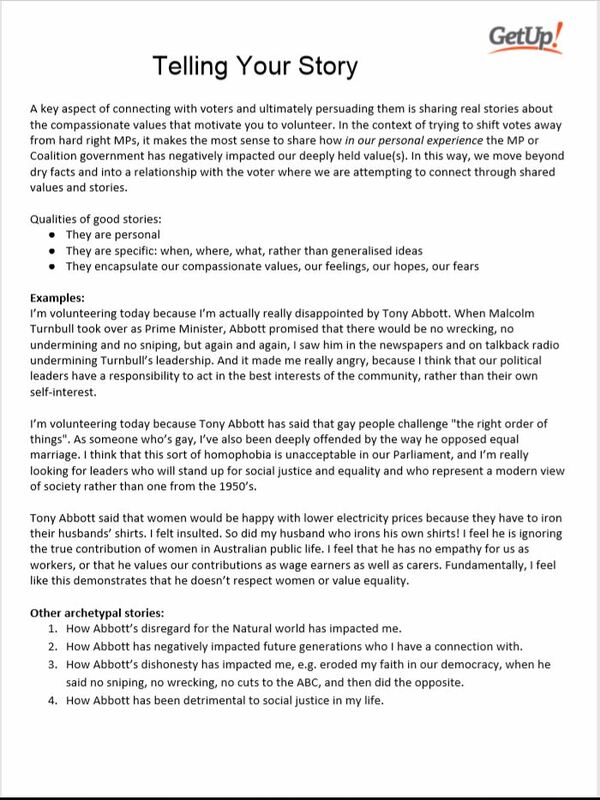 The guide instructs volunteers as to what questions they should ask and even what “personal story” they should tell about how Tony Abbot has “negatively impacted our deeply held value(s)”. Ray is hardly surprised by GetUp!’s ‘how to guide’ but questions whether Independent candidate Zali Steggall is the beneficiary of the campaign. One thing that’s clear is it is a direct and personal attack on Tony Abbott. “Basically try and demonise Tony Abbott, that’s what it’s all about,” says Ray.